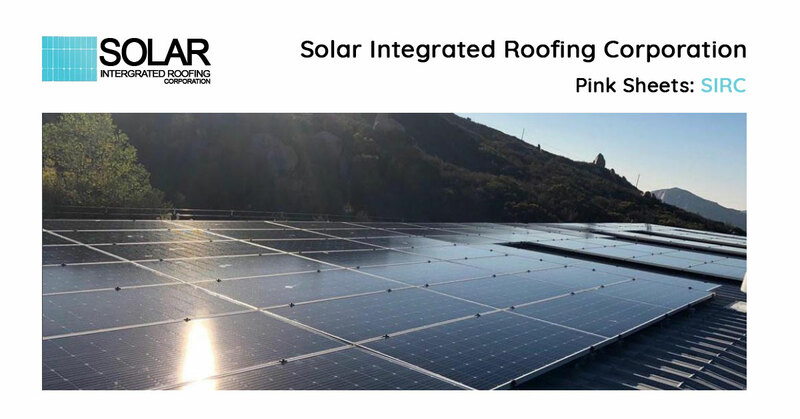 David Massey, CEO of Solar Integrated Roofing Corporation (Pink Sheets: SIRC), called in to discuss the Company’s business model, markets they serve, goals for the company in 2019 while providing several key updates. In addition, Massey discussed the progress with both the Letter of Intent to acquire a well-established South Orange County roofing company with $3 million in revenues and with the Letter of Intent from November 2018 of a San Diego roofing company with a 35-year-old track record and nearly $5 million in revenues. This interview may include forward looking statements. These forward-looking statements generally are identified by the words “believe,” “project,” “estimate,” “become,” “plan,” “will,” and similar expressions. These forward-looking statements involve known and unknown risks as well as uncertainties, including those discussed in the following cautionary statements and elsewhere in this release. Although the Company believes that its expectations are based on reasonable assumptions, the actual results that the Company may achieve may differ materially from any forward-looking statements, which reflect the opinions of the management of the Company only as of the date hereof. SmallCapVoice.com, Inc. received $5,500 from the company on 2-4-19 for 30 days of service.